The Samsung Galaxy S9 and Galaxy S9+ are poised to be launched at MWC in late-February. At the launch event, Samsung will also unveil the release dates of the 2018 flagship smartphones in various countries along with the price point. 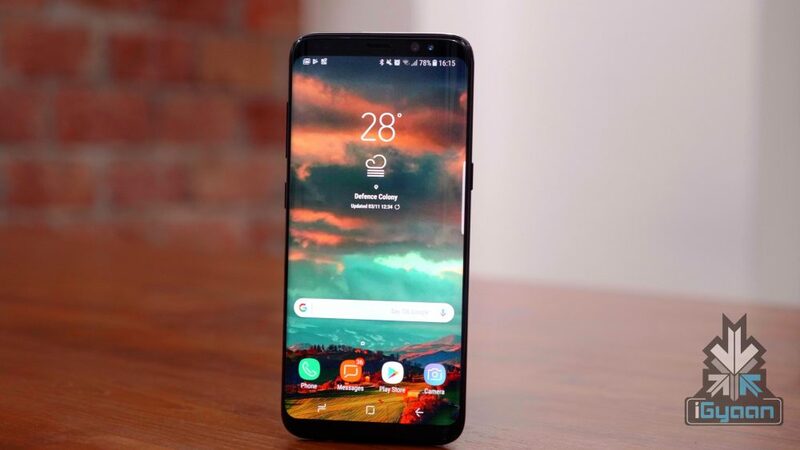 But, before Samsung readies the smartphones for consumers in the US, the two devices need to FCC certification clearance and it appears that the two devices have done that successfully. The Samsung Galaxy S9 and S9+ will carry the model numbers SM-G960U and SM-G965U, respectively. However, the FCC database has not revealed any specifications or real-time images of either device but, there have been enough leaks in the past that give us an idea about the design of the phones. Recent renders have revealed that the Samsung Galaxy S9 and Galaxy S9+ will share the same design language as their predecessors and will have marginally reduced bezels. The other major change is the difference between the regular and the plus variant. 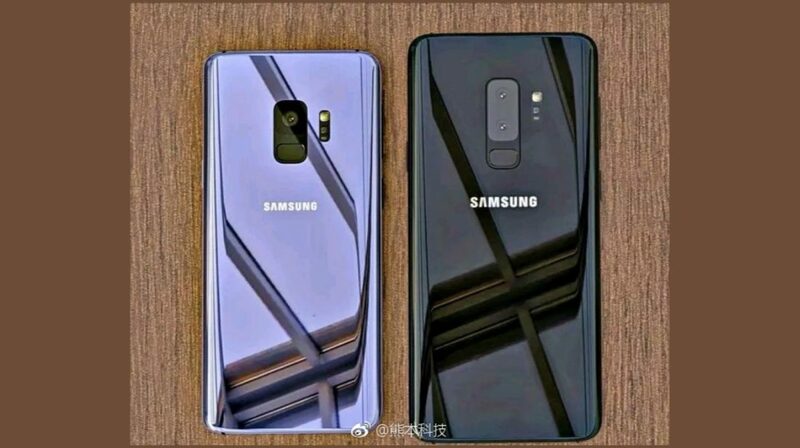 While in 2017, only the screen and battery size was the difference between the two variants, in 2018, the Galaxy S9 will have a single camera on the back while the S9+ will have a dual-camera setup, much like the Galaxy Note8. Also, as seen on the recently launched Samsung Galaxy A8+, the fingerprint sensor will be moved to a more ergonomic position, unlike the Galaxy S8 and Note8. 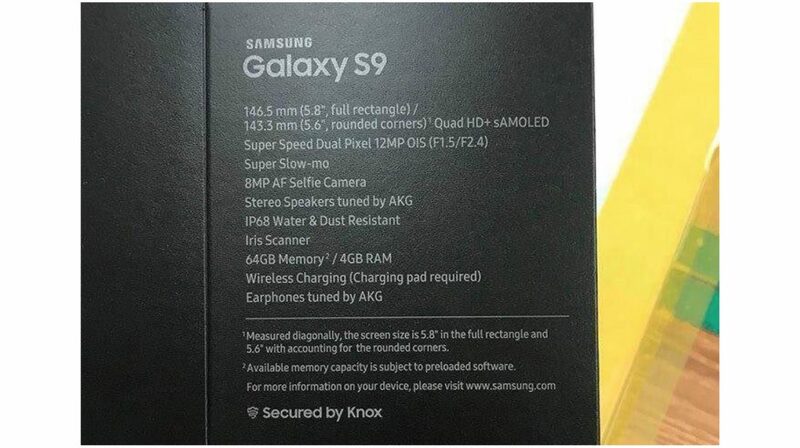 A recent leak also revealed a lot of features of the Samsung Galaxy S9 courtesy, the image of a leaked retail box. 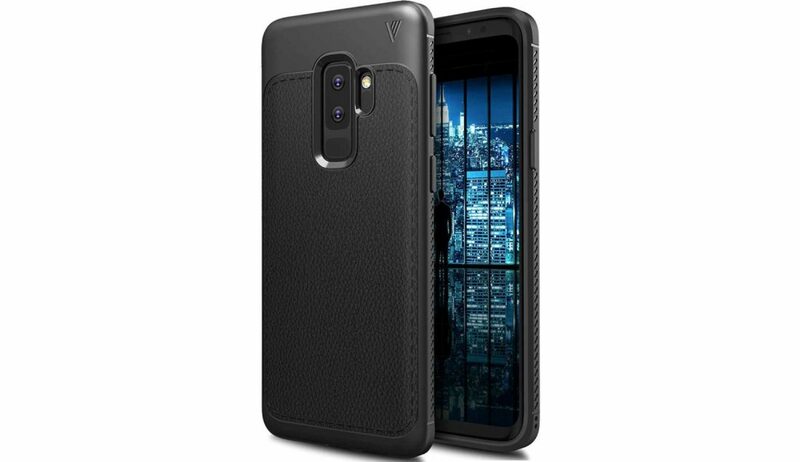 According to the specifications listed on the box, the Samsung Galaxy S9 will have a 5.8-inch sAMOLED display with a 2960 x 1440 px resolution. Similar to its predecessor, the smartphone will have a single 12MP SuperSpeed Dual Pixel camera. This time around, however, the camera will have an f/1.5 aperture and record super slow motion videos, probably at 960fps. Other features include an IP68 rating for water and dust resistance, an 8MP front-facing camera and stereo speakers tuned by AKG. Last year’s Samsung Galaxy S8 and S8+ also retailed with AKG earphones and this year, it is expected the same from the upcoming Galaxy S9 and S9+ as well. The Samsung Galaxy S9 will have 4GB of RAM and 64GB of onboard storage. While the US and the South Korean variant of the smartphones will be powered by the Snapdragon 845 chipset, the global variants are expected to have the Exynos 9810 chipset under the hood. The Samsung Galaxy S9+ is expected to have a 6.2-inch display with the same resolution and aspect ratio. Under the hood, the Galaxy S9+ might have 6GB of RAM and more storage variants unlike the single variant of the Galaxy S9.